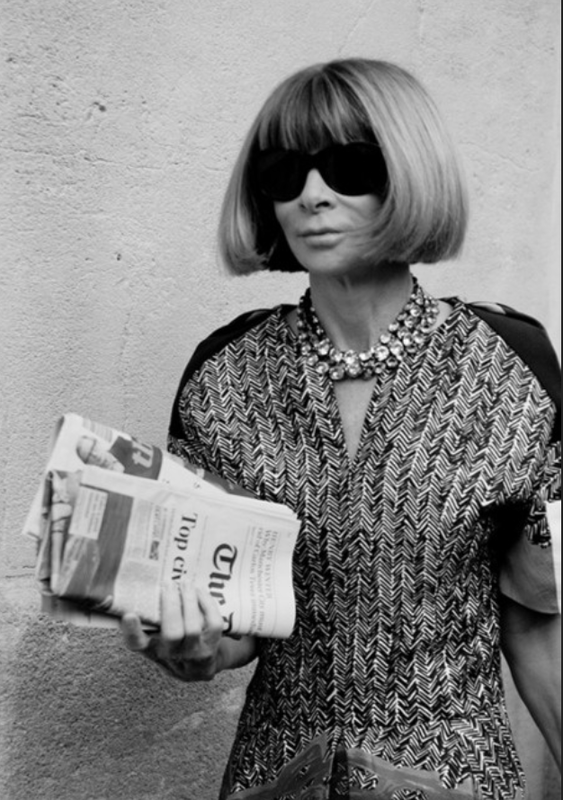 Dame Anna Wintour, with her trademark pageboy bob haircut and dark sunglasses, has been editor-in-chief of Vogue since 1988. Over the years Wintour has become an essential figure in the fashion world and is widely praised for her eye for fashion trends and her support for younger designers. There has always been a great deal of controversy around Wintour. She has been called "Nuclear Wintour" due to her reported demanding and aloof personality and she still continues to be a success in a world where we are witnessing the decline of magazine publication. To be hired by someone like Anna with a strong personality, especially in the fashion world, you need to be a strong character yourself and not let the little things get in your way. Anna is someone who never listens to the critics and instead pushes through to do the job. She is a strong decision-maker, always focussed on what is essential. This is why she is successful with most things she puts her hands on and is admired by other successful women and men, worldwide. To be successful, I believe one needs to model those who have made it so here are Anna Wintour's Top 10 Rules for Success. Do you have your own rules for success in your personal and professional life? Aug 7 Why Women Leave the Men They Love? Jun 24 What Is The Purpose Of A Professional Image?